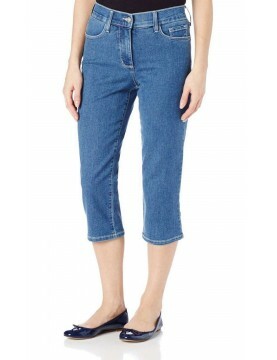 Tiny rhinestones detail the coin pocket and rolled cuffs of slim, stretch-denim capris by NYDJ. Exclusive lift-tuck technology helps flatten the tummy and lift the rear. 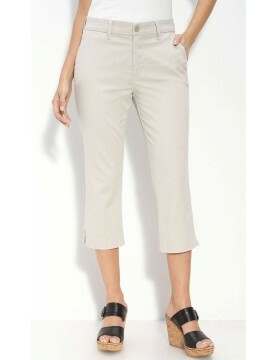 Cropped, comfortable and keeps you in control, NYDJ Brandi Crop Capri's. 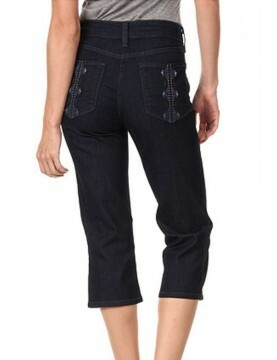 Five-pocket styling, plain back pockets, tonal stitching and rhinestone detail at the hems. Not Your Daughter's Jeans Stretch denim capri's with a high rise and classic straight leg and rhinestone grommet detail at split side seams. Lift Tuck Technology that lifts and shapes curves, so you instantly appear one size smaller. 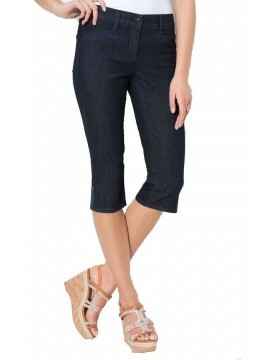 NYDJ Chino Straight Leg Capri's with a Wider Waistband, Front Slant Pockets, Faux Back Welt Pockets and NYDJ revolutionary criss-cross panel keeps your tummy in control and makes you look a full size smaller, instantly. 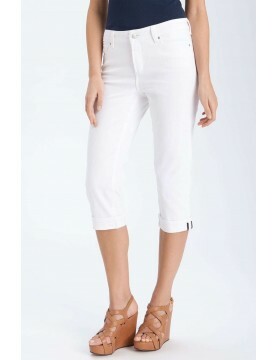 NYDJ White Crop Capri's are comfortable and keeps you in control. 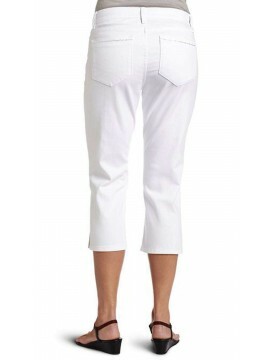 Five-pocket styling, back pockets trimmed with small stones, tonal stitching and rhinestone detail on the hem slits. NYDJ's Ariel straight leg capris let you move into spring stylishly with the Not Your Daughter's Jeans figure-flattering fit you love. 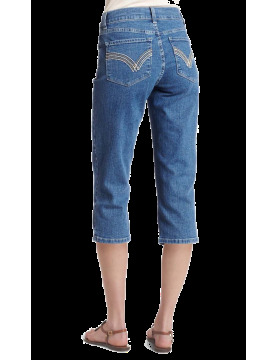 NYDJ's Ariel straight leg capris in Medium Wash with embroidered back pockets let you move into spring stylishly with the Not Your Daughter's Jeans figure-flattering fit you love. NYDJ Edna Capri's. 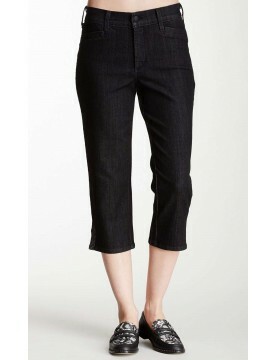 Cropped, comfortable and casually chic with selvage details at the cuff. Features five-pocket styling, zip-fly, and button closure. Every pair of NYDJs feature the exclusive Lift Tuck® Technology that allows you to look and feel fabulous. NYDJ Suzy Slimming Denim crops feature a higher rise and slim leg with silver-tone studs embellishments on the split cuff. Front slash and back patch pockets, subtle contrast topstitching, zipper fly and button closure. Lift Tuck Technology lifts and shapes curves so you instantly appear one size smaller.